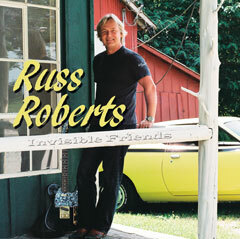 This is Russ's latest album, "Invisible Friends" was released on February 4, 2011, You can download some MP3 samples of this album. Click on the outlined song titles to download an MP3 file. You will need a MP3 player installed on your computer hard drive. You can purchase this album from the order page. on the icon below to go to iTunes. 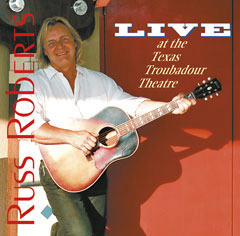 This album was recorded live at the Texas Troubadour Theatre in Nashville, Tennessee. You can download some MP3 samples of this album. Click on the outlined song titles to download an MP3 file. You will need a MP3 player installed on your computer hard drive. * Where You Gonna Be?